Hey there! 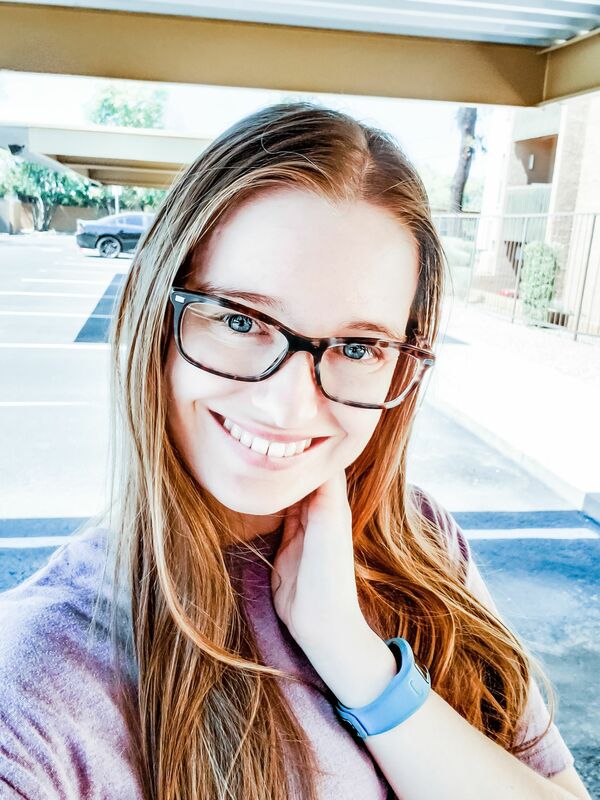 Today I wanted to talk about something that I’ve been wanting to share since I made the switch to WordPress. As you probably know, I started this blog on Blogger, the free blogging platform provided by Google. I used Blogger for over four years and even wrote blog posts on how to do certain things with it. But I know many people wonder which is the best platform for them, and the answer is that it depends. 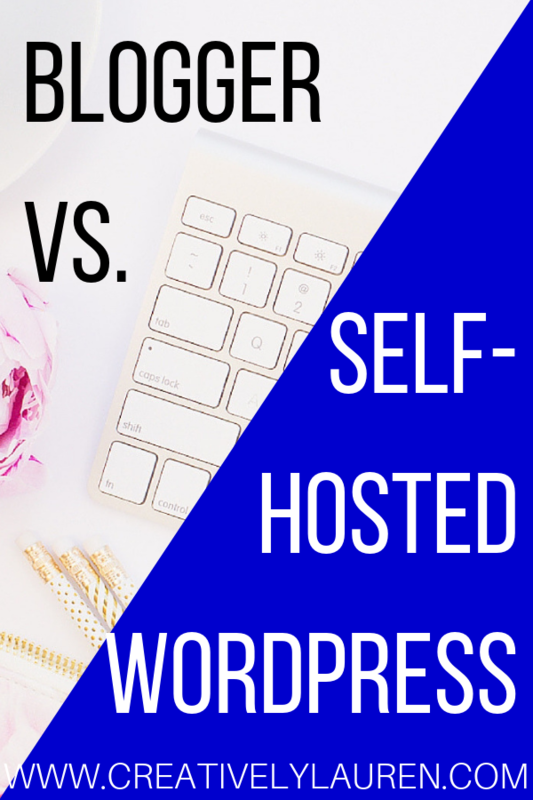 In this comparison, I’m going to be comparing Blogger with self-hosted WordPress. Like I mentioned previously, Blogger is a free blog hosting platform offered by Google. Self-hosted WordPress, or WordPress.org, is an open source program that requires a host to be able to use. Both have their advantages and disadvantages. I also like both of them, for their own reasons. I know many people don’t think of pros when they’re looking at Blogger as a blog hosting platform, but there are some pros. Blogger is a no start-up cost platform. There are no costs to host your blog on Blogger. It is a good platform for someone who is budget conscious when they’re starting out. Blogger is also a pretty easy platform to use. You do need to have a basic knowledge of HTML and CSS, but you need to have that as a blogger anyway. (Don’t have that, I can help with this post). Their post editing panel is very easy to use, so creating a post is quick and painless. Google also hosts your photos for your blog so you don’t have to worry about your images. You can link Blogger to social sharing sites so you can share your posts. When I was on Blogger, I connected it to the site If This Then That, and would have my blog posts automatically post to Pinterest when they were published. You can also use it to connect to Facebook, Twitter, and other social networks! You can’t really monetize your blog with Blogger. Yes, since it’s owned by Google you can use Google Adsense, but that’s about it. You can’t sell ad space on your blog and you really can’t accept sponsored posts. So, if you’re looking to make good money with your blog, then Blogger won’t really be the best platform for that. The main reason for that is, you don’t actually own your blog content when you host on Blogger. That is the biggest con of using Blogger or any other hosted platform. Google owns your content, and they can shut your blog down at any time for any reason. This is actually really harmful for your blog. Another con for Blogger is that the options they have for themes/templates is very very limited. Besides being limited, they are not the elegant and professional themes that you find on WordPress blogs. They’re very basic blogging templates. You can customize them through their editor, but you can’t add any plugins or anything like that. If you don’t purchase a domain name and point it towards Blogger, then your website is going to be a domain.blogspot.com. Having a .blogspot.com domain does diminish your professional look on your website. Now, you can purchase a domain through a domain company and have it point to your blog, but there is a cost to that. 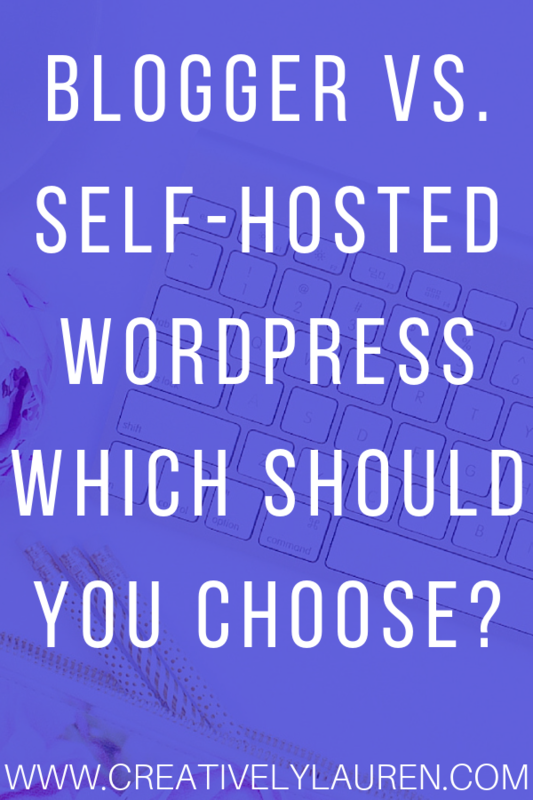 The biggest pro for self-hosted WordPress is that you own your blog content. You have complete control over what you post on your blog, how you design it, and how you monetize it. Owning your content is the biggest step in monetizing your blog. You can customize your site to how you like. There are many sites that sell professional WordPress themes, so you can pick the one that fits your style and brand. Plus, WordPress’ customizer is much more powerful and expansive than Bloggers’. Now, your ability to customize your theme does depend on the theme that you purchase. Now, one of my favorite parts about WordPress, plugins! Plugins help you customize your site beyond the capabilities of WordPress itself. Some of my favorite plugins are Social Warfare, Yoast SEO, and Pretty Links. There is a cost for running your blog on WordPress. WordPress itself is a free open source software, but you have to host WordPress on a server, through a host, and that is where the cost comes from. A good hosting company does cost some money. There are low-cost hosting companies as well, but you have to realize that you get what you pay for. I host my blog on SiteGround, and I love it. You also have to pay for a theme, and a good theme is going to run at least $50. Another thing you have to pay for is a domain name. You do need to have more than minimal knowledge to run your blog. I don’t mean in the editor and with blog posts, I mean for general upkeep. When you update WordPress you have to make sure you have a backup of your blog and database, which requires a little bit more advanced knowledge. Yes, hosting companies do offer support with their services, but you do have to have some website knowledge. So, which one should you choose? It’s really up to you. When I started my blog back in 2014, monetization wasn’t on my mind and I didn’t have money to spend on hosting, domain name, and the like. So, Blogger was a good start for me. I do wish, however, that I made the jump to WordPress sooner than I did, because I did start taking my blog seriously back in 2016 but I kept my blog on Blogger until November 2018. So, if you’re looking for a hobby blog and you don’t really want to monetize it, you just want to share your thoughts and opinions, then Blogger is the way to go. 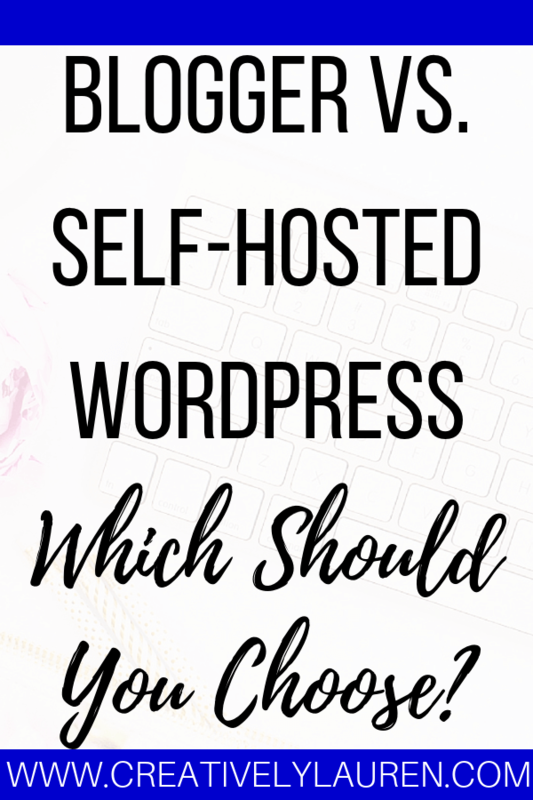 But, if you’re looking to make a job out of your blog and make some real money with it, then you’re going to want to get started on self-hosted WordPress. 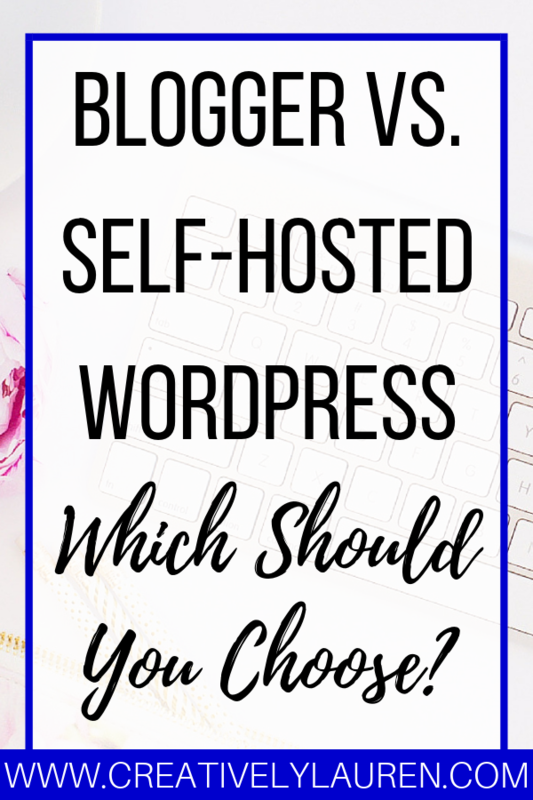 You can also get started on Blogger and move over to WordPress when you’re ready. Which platform do you use, or do you want to use? Let me know in the comments! 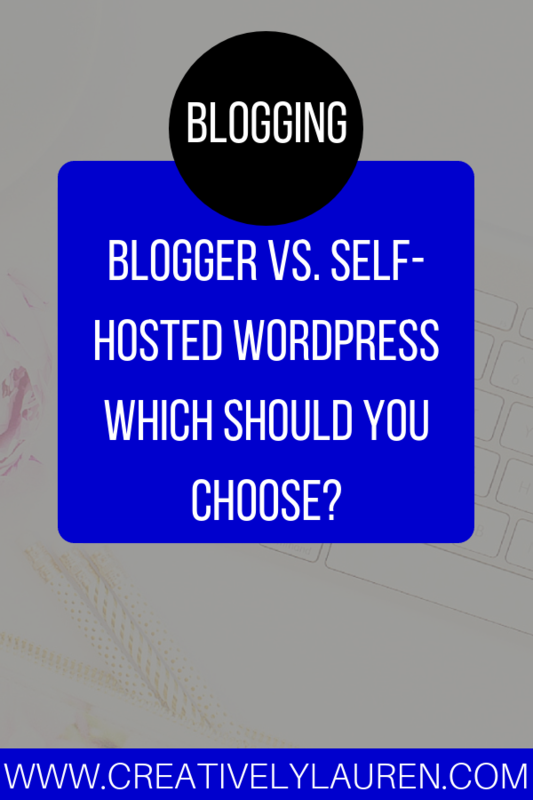 2 Comments on Blogger vs. Self-Hosted WordPress: Which Should You Choose? We just moved to WordPress from another platform and this post is right on. 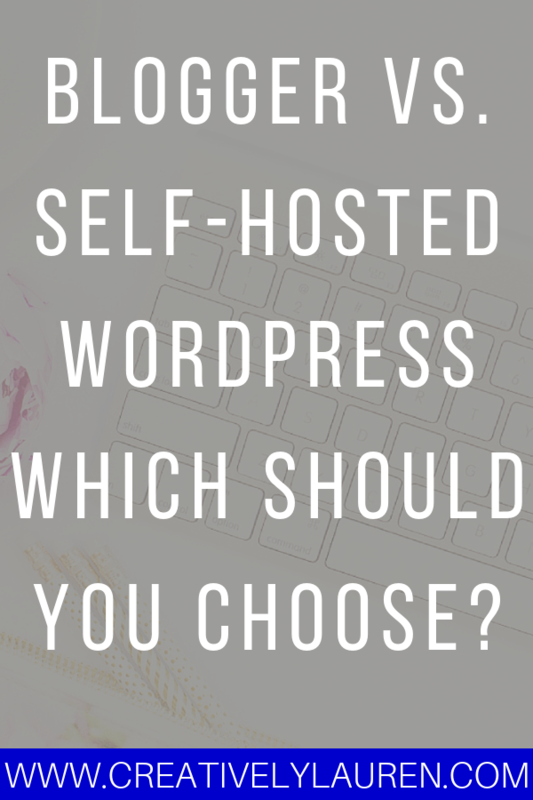 Both are good options but in the end WordPress was the right choice for us. Great tips for people both starting out and in the middle of blogging! I am glad I chose WordPress for my own website, but it really does depend on what you’re aiming at. I’m RT’ing this on my twitter page!